Many people have reported that their Surface Pro 4 screen is flickering or shaking, which is very frustrating. If you’re experiencing this screen flickering issue in your Surface Pro 4, don’t worry. You can fix the screen flickering issue. Why is my Surface Pro 4 flickering? Microsoft haven’t released any official statement about the causes of this issue, and many people try putting the Surface Pro 4 into the freezer to temporarily fix the issue. 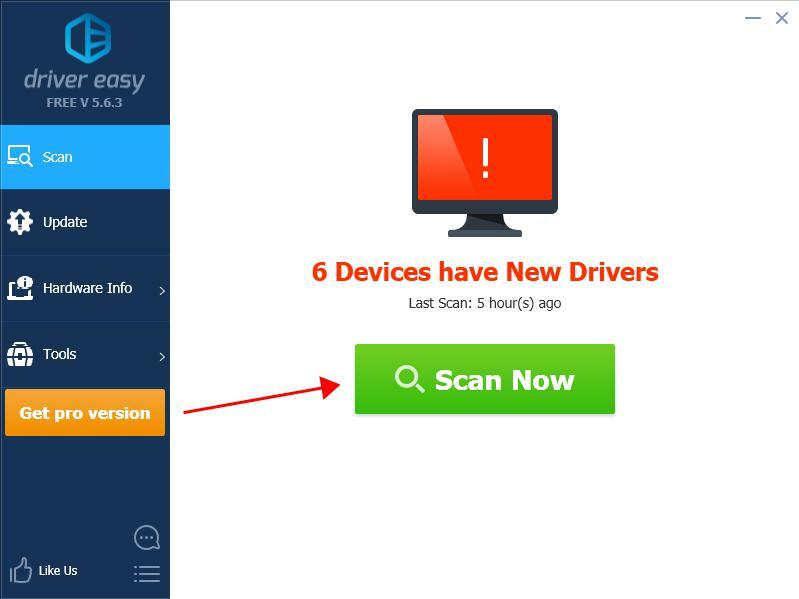 One of the possible reasons is the hardware faulty, as this issue happens to some certain devices. Meanwhile, the software corruption can also result in the screen flickering issue. Before throwing your Surface Pro 4 out of the window, you can try these workarounds to fix the flicker screen issue. Make sure to put your Surface laptop in an open and wild place, to avoid interference. For example, the magnet around your Surface pro 4 can interfere with your screen and make your screen flicker. So make sure there is no magnet near from your laptop. Simple check and make sure that the cables in your Surface Pro 4 are plugged in properly. If the connected cable is loose, you’ll have this flickering problem. A missing or outdated display driver in your Surface Pro can also lead to the flickering screen issue. 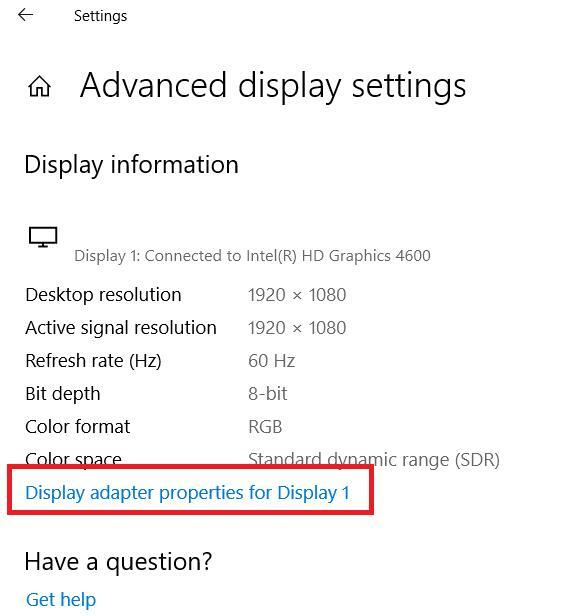 So you should make sure that your display adapter driver is up to date, and update it if it’s not. 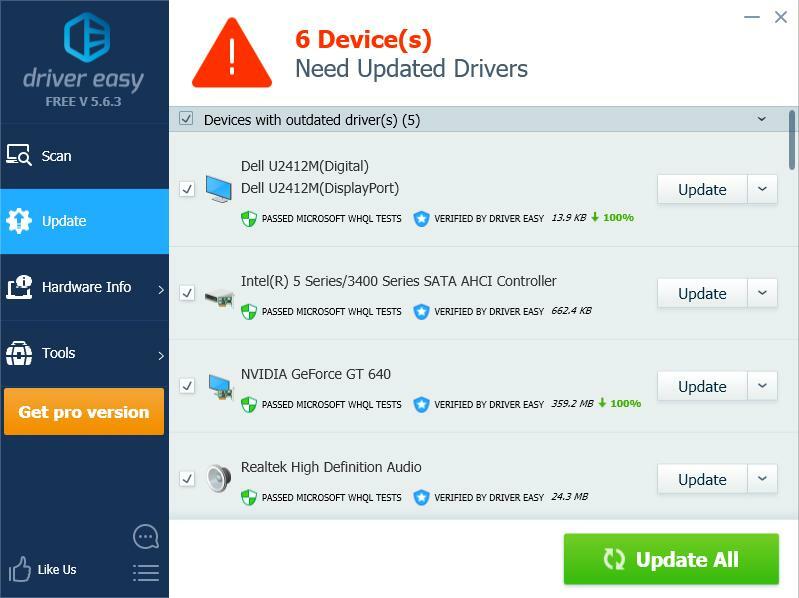 You can go to the manufacturer’s website, and download and install the latest version of your graphics card driver. This requires time and computer skills. 4) Restart your computer and see if the screen works properly. 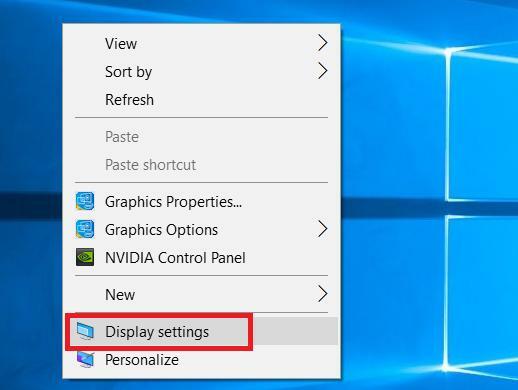 If the screen still flickers or blinks after updating the driver, you can try reinstalling the graphics card driver and see if it works. 1) Right click on the empty area on your desktop, and click Display settings. 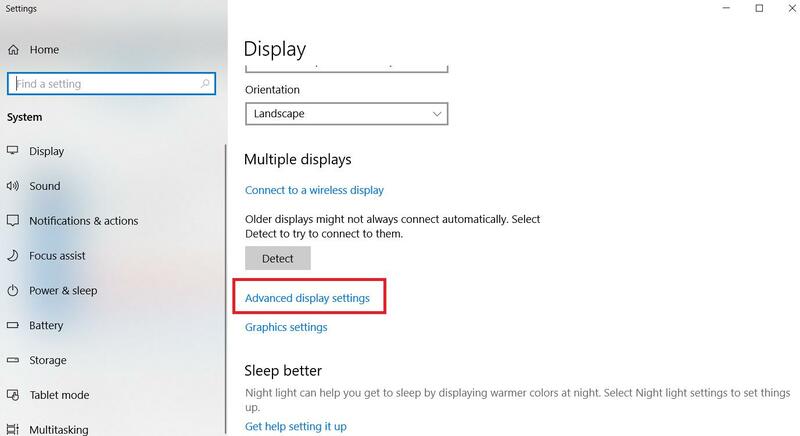 2) Click Advanced display settings in the Settings app. 3) Click Display adapter properties for Display 1. 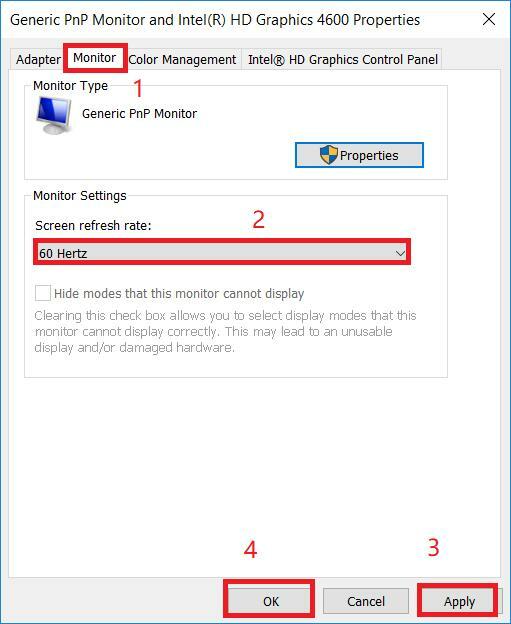 4) In the popup dialog pane, click the Monitor tab, and select 60 Hertz in Screen refresh rate. Then click Apply > OK.
5) Check if your screen stops flickering. As a large number of users have reported the Surface Pro 4 screen flickering issue, Microsoft has tried to make things easier for users to fix the issue. According to the statement, Microsoft has been launching the replacement program: Only Surface Pro 4 devices experiencing this issue, of any configuration, are covered under this program. Before having your Surface replaced, read carefully the statement, and follow the instructions to install the Surface and Windows Update in your laptop first. This hopefully can fix your screen flickering issue. If the issue still occurs, you can start the replacement process by contacting Microsoft support. So there you have it – the four effective ways to fix the flickering screen in your Surface Pro 4. Hope it helps you through.